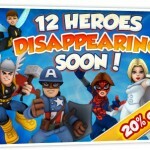 On November 28th Emma Frost will NO LONGER be a purchasable character in the Super Hero Squad Online MMO. The cards come with 1575 gold and a "Rise of Heroes" booster pack. The creative folks at The Amazing Society talked to us about Emma Frost in Super Hero Squad Online, where she is a playable character. 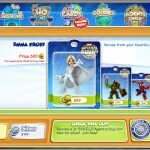 Check out Emma Frost's cool moves in Marvel.com's Super Hero Squad Online vignette! 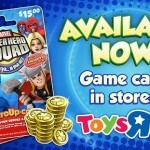 Emma Frost is now a playable character in the Super Hero Squad Online game. Check out the screenshots here!